May Day is celebrated in many country on May 1 and refers to public holidays like Labour Day. 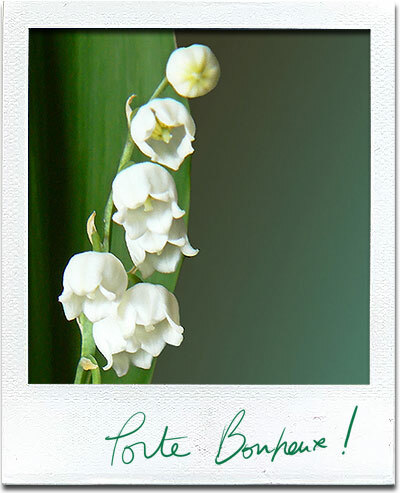 Back home in France, we have the sweet tradition to offer a spring of lily of the valley on May 1, as a symbol as springtime and to bring good luck and happiness. In my effort to do something special to celebrate every holiday I can think of... I looked up online for ideas and recipes that would make this day a little special. Thanks Martha and Kaboose.